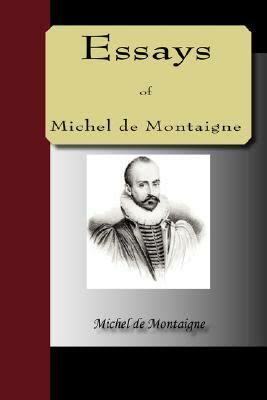 The following essay On Books is from Book 2, chapter 10 of Michel De Montaigne’s Essays, translated by J.M Cohen. “I have no doubt that I often speak of things which are better treated by the masters of the craft, and with more truth. This is simply a trial of my natural faculties and not of my acquired ones. If anyone catches me in ignorance, he will score no triumph over me, since I can hardly be answerable to another for my reasoning’s, when I am not answerable for them to myself and am never satisfied with them. Let the man who is in search of knowledge fish for it where it lies; there is nothing that I lay less claim too. These are my fancies, in which I make no attempt to convey information about things, only about myself. I may have objective knowledge one day or may perhaps had had it in the past, when I happened to light on passages that explained things. But I have forgotten it all; for though I am a man of some reading, I am one who retains nothing." I often attempt to convey ideas I’ve learned from books, but feel I lack the eloquence of those authors experienced in the craft. My first thoughts, natural and off the cuff lack a certain intelligence as I stumble to understand; constantly questioning, thinking out loud, feeling for answers. My understanding may end up being different from others, so it important they read it for themselves and come to their own conclusions. I don’t want to mislead anyone. My thoughts and experiences play a part in what I take away from the book. Theirs will be different. I may read a passage and understand it completely, enlightened for the moment. But when I go back a second time, I may not find the original passage that caused much understand or find I’ve completely forgotten what I read and the words are all new again. I’m fascinated by Montaigne’s essays on reading. Although I've had the book for some time and it's been calling my name to read me, read me, I've been ignoring it. Until now. Some days I feel like a fraud as I try express my thoughts, not able to explain a certain passage in a book, quoting the author rather than attempting to put in my own words. I’m intimidated by certain authors, their words make me feel stupid. Then there are days in which my mind is wide awake and absorbs the words like a sponge. The light bulb turns on and I get all excited. I’ll turn to my hubby to tell him what I discovered, talking his ear off. He is so much wiser than me in some subjects and his questions make me want to tell him to read the book because my attempts to convey myself eloquently get hammered by my own doubt and insecurity. Questions run through my head - Is that what I meant to say? No, don’t quote me. I may have taken it out of context. I think I’m logical, analytical, capable of intelligent discourse. Then along comes someone who has given it more time and thought and blows me away. I can’t let it make me feel stupid. Perceptions, ideals, life experience all play a factor. Each person’s viewpoint highlights what is important to them and what they need to learn. Sometimes it is better to quote the author, other times not. Translating Montaigne's ideas is a great idea. Leads me to think and ponder and trust that no matter what anyone else may think, what I discover is what I need at that moment. Do you have moments in which you read a passage and it sings to you? But you failed to highlight it and when you go back can’t find it or when do find it, you can’t understand why it flashed so brilliantly in the first place? I’ve learned to immediately underline passages and write down my thoughts, before I lose them. Because your first thoughts, those bright sparks of understanding won’t ever be the same.